Come feast your eyes on one of the most glorious D&D miniatures we’ve ever seen. Coming later this month from Gale Force Nine, it’s Aurinax, the Gold Dragon, soon available in Dwarf and Dragon form. Dragons are right there in the name of the game when it comes to D&D. Magnificent, regal, and guarding hoards of treasure that even the most pure-hearted, egalitarian kingdom would envy, Dragons swoop in on massive wings with their imposing presence saying, “here is something worth admiring.” And it is exactly this case with Aurinax, the new collector’s miniature soon to be released from Gale Force Nine. One of the more climactic encounters of Waterdeep Dragon Heist will see a party having to somehow get past an adult Gold Dragon nown as Aurinax who has been bound by the staff of Anaxanar to guard a secret treasure vault where 500,000 gold pieces are stored. And later this month, Gale Force Nine will be releasing a miniature that depicts this scene. 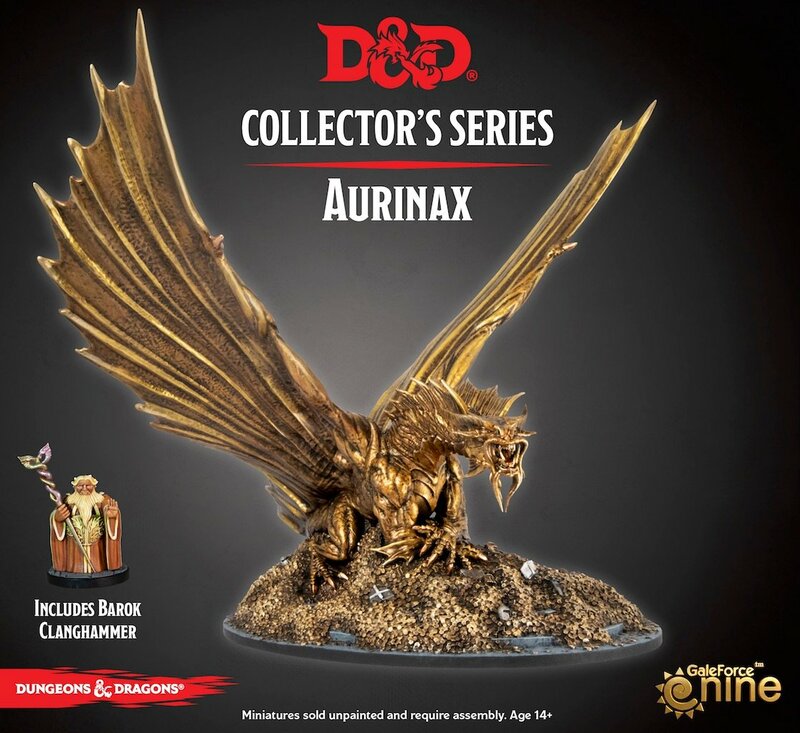 Aurinax is featured, not just with wings poised regally and fearsome claws bared, but also atop the hoard of treasure that has been embezzled from the lords of Waterdeep. There is no more fitting place to find a majestic Gold Dragon than atop an equally majestic hoard of gold dragons. You can see that there’s a ton of detail poured into this mini. From the coins, to the shield and helmet and stone steps visible just beneath, to the way the Dragon’s armored hide and claws push aside some of its hoard. 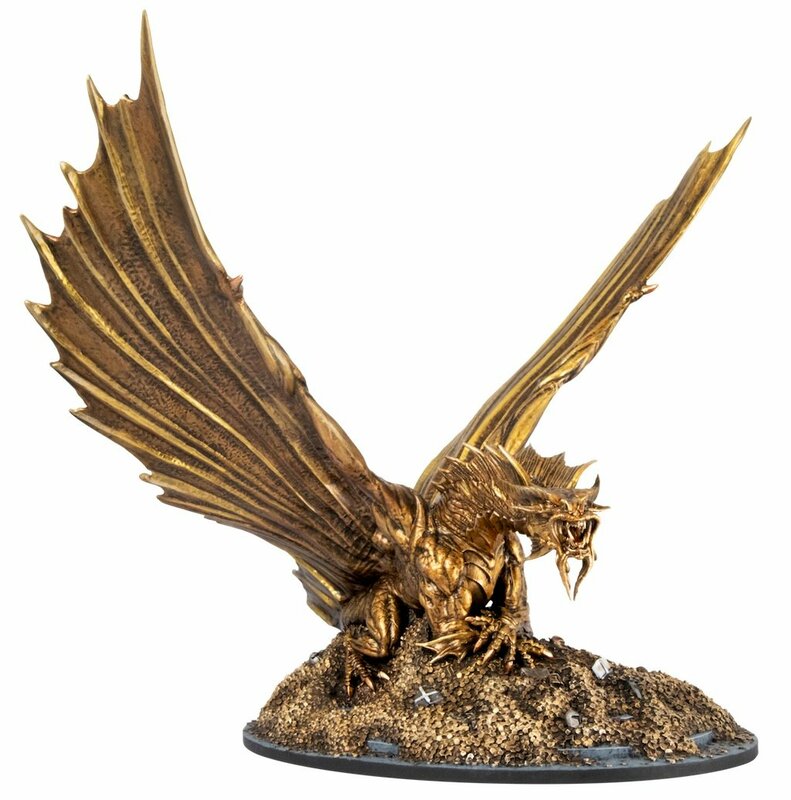 This is one of the best looking Gold Dragon miniatures we’ve ever seen. 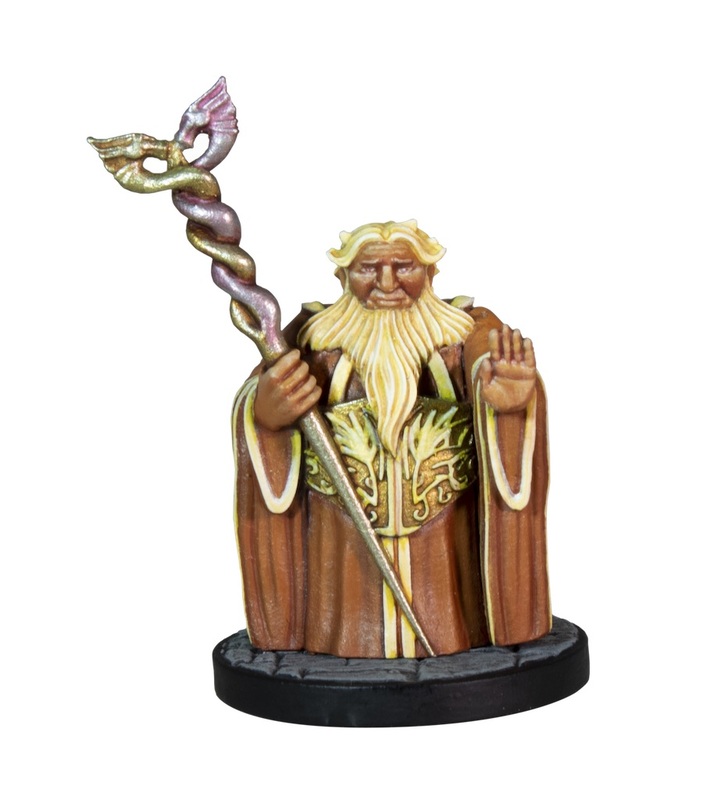 And that’s not all–because the miniature also comes with Aurinax in his Dwarven disguise. You never know when you might want to foreshadow an encounter for canny players, or have that moment when you’ve been showing off Dwarvinax to your players the whole time, only to swap minis and reveal his true majesty. Either way, take a look. The whole thing will soon be available from Gale Force Nine, so be sure and check their website for more details. In the meantime…Waterdeep’s secret vaults await.